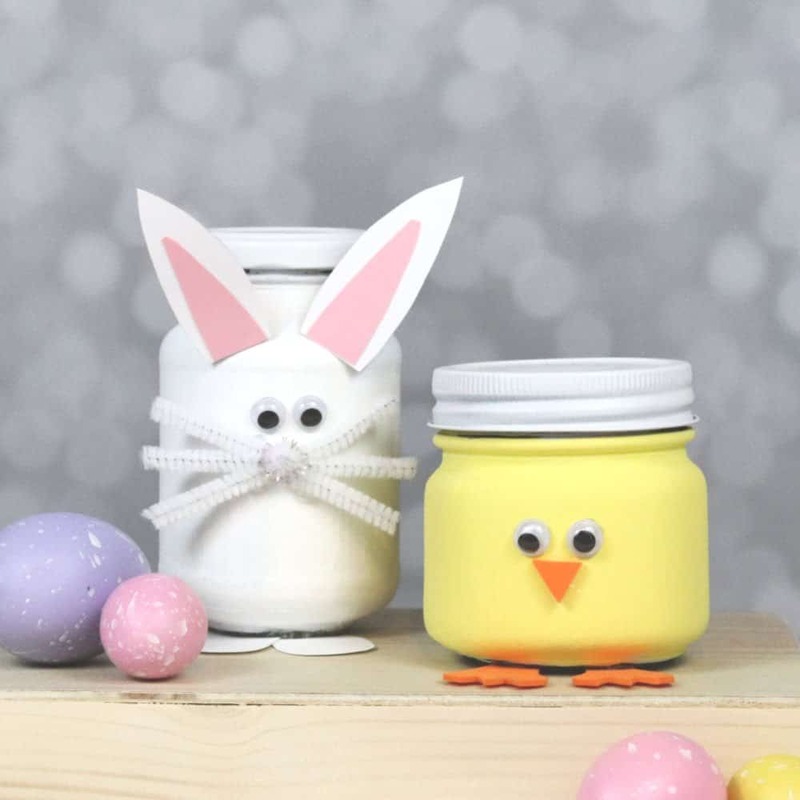 This easy and fun Easter recipe is something I know you will want to make with your kids this season. 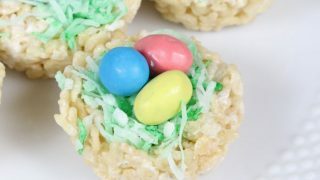 Check out these delicious Rice Krispie Treat nests and decorate your Easter table with dessert! I truly enjoy cooking and baking with my kids. It’s messy and the end result can be a little off, but man is it fun. My girls find so much joy in creating weather it’s crafts or food and I’m lucky that I am able to teach them a thing or two in the kitchen. 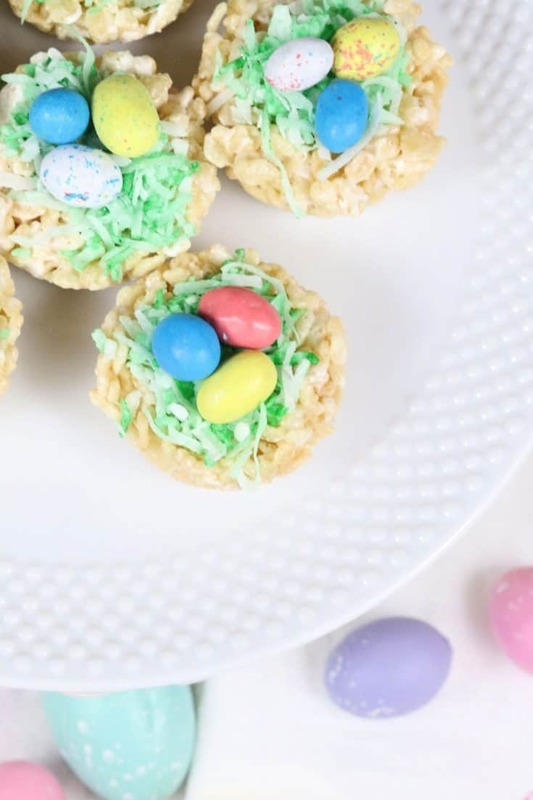 Watch how Lauren and I made these Rice Krispie Treat Nests for Easter, then scroll down for the full recipe and a few tips. I love just about everything in this recipe. 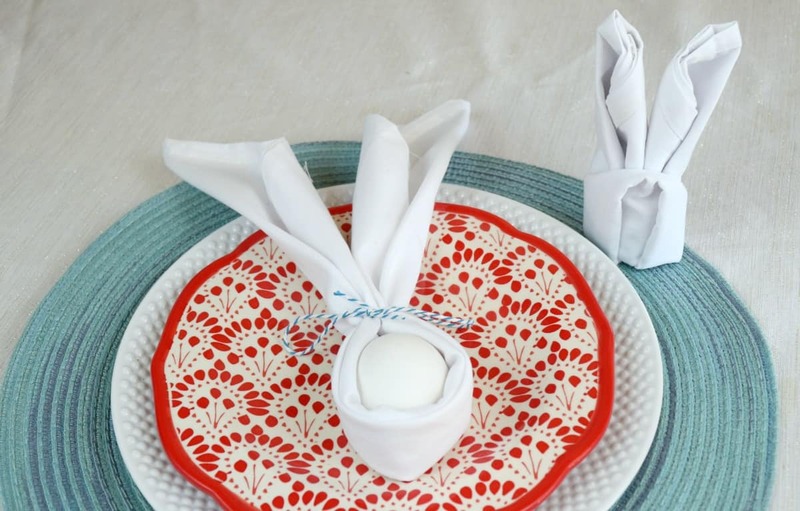 These nests are not only delicious, they are colorful and fun too! A plate of these will look lovely on an Easter buffet and I know kids as well as adults will enjoy this dessert. We used Robin eggs candy to top them off, they look like cute little eggs in a nest! 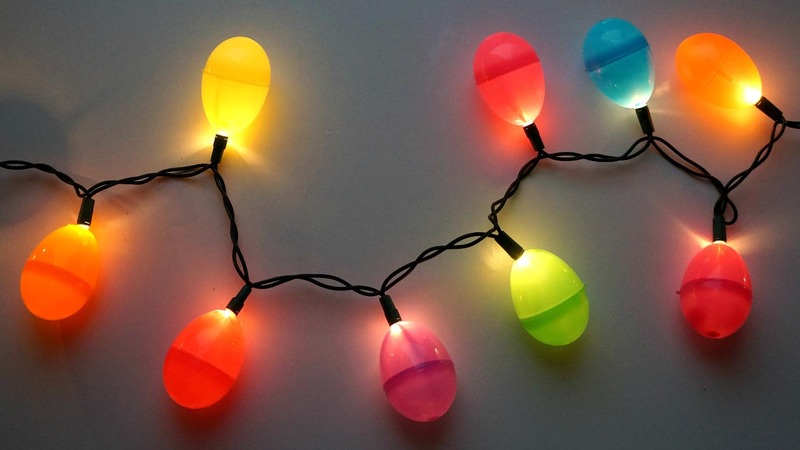 You can use any egg shaped candy you like, or mix it up and make a few variations. Dark chocolate eggs for Mom, Jelly beans for kids, there are so many options here. 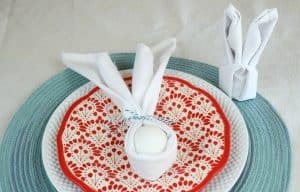 You can also color the Rice Krispie treats before forming the nests to add even more color to your Easter table. A colorful and fun Easter dessert. Combine butter and marshmallows in a microwave safe bowl, microwave for 2-3 minutes until butter is melted. Stir to combine. Add Rice Krispies to the mixture and mix well. In a plastic zip bag combine coconut and a few drops of green food coloring. Seal the bag and shake to distribute the color. Scoop Rice Krispie treats into the tin and press down in the center creating a cavity. Set these aside to firm up. Once the nests are firm, remove them from the muffin tin. Top each nest with a pinch of green coconut and 3 Robin eggs. 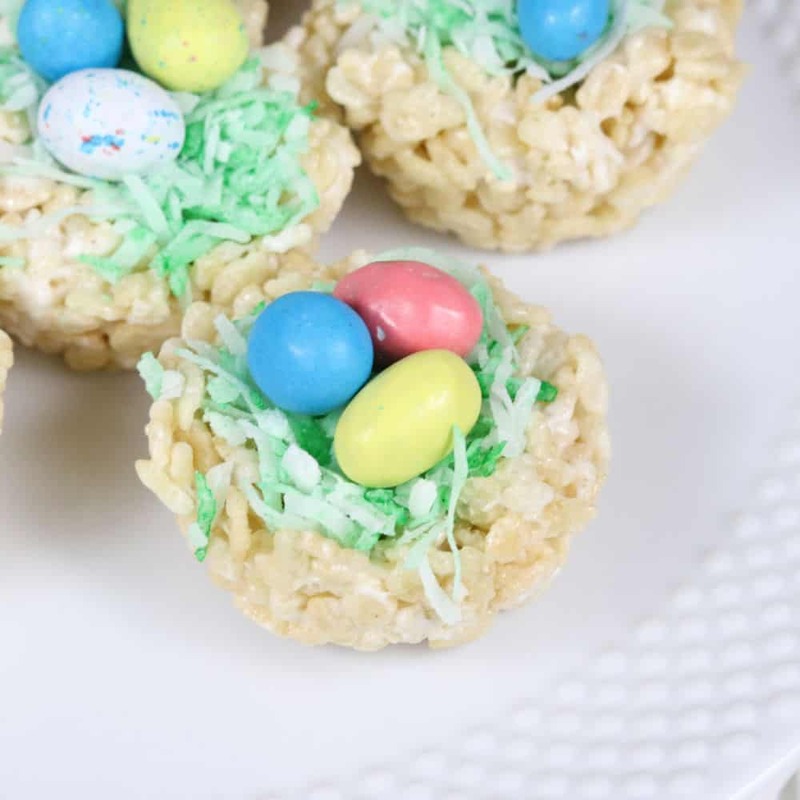 Don’t forget to pin this Rice Krispie Treat nests recipe and share it with your friends. 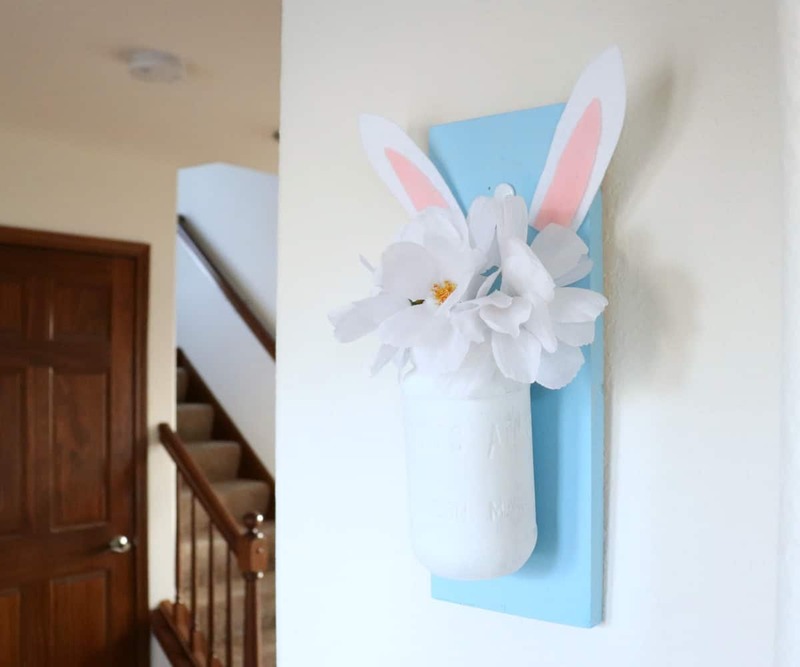 If you are looking for more Easter inspiration look no further, below are some of my favorite Easter projects that you can make right now to get ready for the holiday.